Zambali Summer is a musical celebration of love, life, and faith and the freedom to enjoy just that. It is a music festival to be held at one of the country’s most beautiful beaches – the beach coast of Zambales. 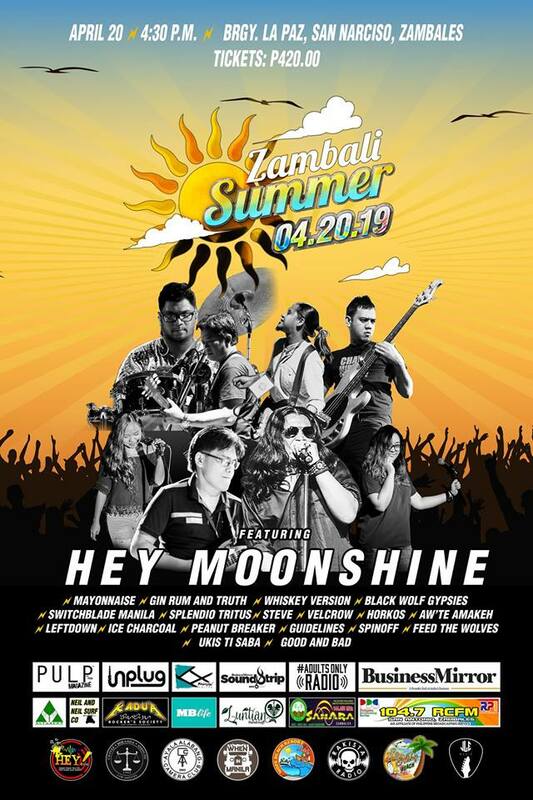 Zambali is derived from the word “Sambali”, which is the original name of Zambales; and also refers to the Zambales’s original natives, the Sambals. Every summer, most residents of the Metro and Filipinos in general spend their Holy Week away from the city for a well-deserved getaway and spiritual rejuvenation – usually at the beach. For some, this has been tradition. Year after year, major beaches outside of Metro Manila are packed with locals and tourists alike. Usually, Maundy Thursdays and Good Fridays are spent for religious practices. Black Saturdays, on the other hand, has always been the official day when families and friends go out of town to spend time together to celebrate – to have fun. This year, beach-goers from the Metro can enjoy Zambali Summer on April 20, Black Saturday. Indeed, the perfect day to celebrate a music festival at the beach! 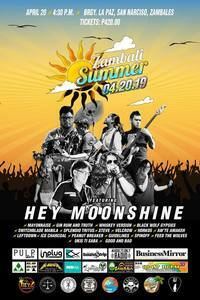 Mayonnaise, Gin Rhum and Truth, Hey Moonshine, Whiskey Version, Black Wolf Gypsies, Switchblade Manila, Feed The Wolves, Splendio Tritus, Velcrow, Horkos, Aw’te Amakeh, Leftdown, Steve, Ice Charcoal, Peanot Breaker, Guidelines, Spinoff and other great bands from Zambales.